Once again we bring you the latest set Miles & More "Meilenschnaeppchen" discounted mileage awards! This month we see the return of Lufthansa Business Class options while we see the continuation of last month's offer of a 50% discount on economy class travel on Austrian Airlines between Toronto and Austria. 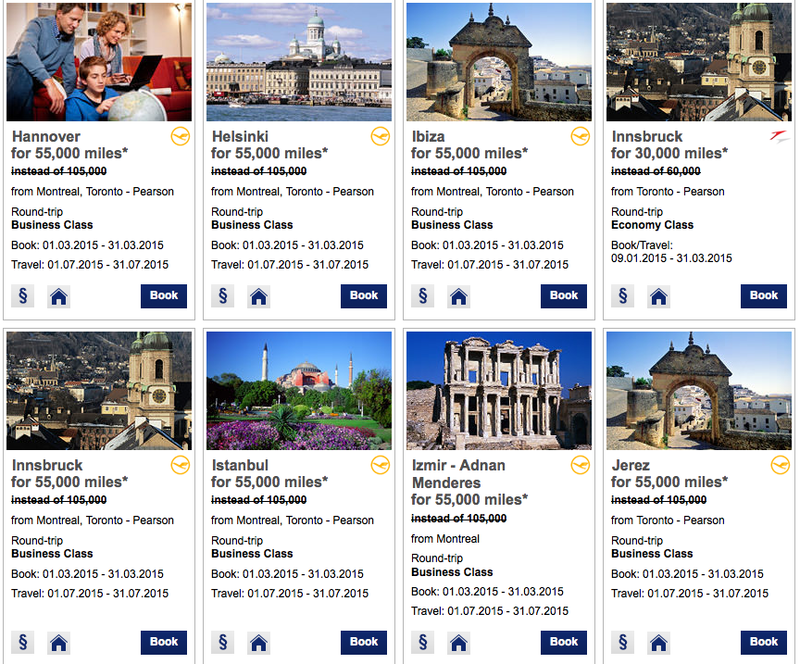 The Business Class offer is for travel this July which is awesome as that is the high season for travel (more so economy class but still you should look into this offer!) The Austrian offers are good for booking and travel by March 31st. You can redeem Miles & More miles for round trip tickets from Montreal or Toronto to Europe for only 55,000 miles in Business Class. This is nearly a 48% discount off the normal Business Class award ticket price of 105,000 miles. As mentioned before the Austrian Airlines option is a full 50% discount on economy class which means an award ticket price of only 30,000 miles. Granted all these tickets will also have fuel surcharges but this is still a pretty good deal when you look at it as a whole in terms of miles+cash outlay.